(CBS News) Smoking marijuana may provide relief from multiple sclerosis symptoms, a new study suggests. People with MS who smoked pot reported less pain and spasticity - or muscle tightness - but it came at the expense of their cognitive abilities, the study found. PICTURES - Medical marijuana: Which 16 states permit pot? According to the National Multiple Sclerosis Society, spasticity refers to the stiffness and involuntary muscle spasms that are indicative of the disease. It can range from mild spasticity, which may feel like tightness, to severe spasticity, which produce painful sudden movements of the extremities, typically the legs, although it can occur in any limb. For the new study, researchers at the University of California, San Diego School of Medicine enlisted 30 participants to see whether smoked marijuana could impact the spasticity in people who don't respond to existing treatments. Participants were an average age of 50, more than half were female, and more than half needed walking aids (20 percent used wheelchairs); they were randomly assigned to smoke marijuana or a placebo. Typically marijuana studies use a synthetic marijuana pill, such as dronabinol (Marinol) to test the effect of the drug's active ingredient, THC, tetrahydrocannabinol. This study, published in the May 14 issue of the Canadian Medical Association Journal, sought to see if smoking marijuana made a difference. The researchers found participants in the smoked cannabis group experienced on average a one-third decrease in score as measured by a spasticity test called Ashworth scale, compared with participants given a placebo. "It's a modest effect," Corey-Bloom told HealthDay of the point reduction. "It also reduced the patients' perception of pain," she added, with a 50 percent decrease in perceived pain. Montel Williams has been an outspoken advocate of medical marijuana to relieve pain caused by MS since he was diagnosed with the disease in 1999, HealthPopreported. While marijuana showed benefits for plasticity, it apparently made participants perform worse on a test that measured cognitive function and focused attention, compared with those in the placebo group. "Although generally well-tolerated by our participants, smoking cannabis was accompanied by acute cognitive effects." "Spasticity is a big problem for many people with MS, and the current medications don't necessarily work for everyone," Nicholas LaRocca, vice president of healthcare delivery and policy research at the National MS Society, told Reuters. "But smoking marijuana does not appear to be a long-term solution, because of the cognitive effects," he said, adding that people with MS are already at risk for cognitive changes, which raises more concern about pot's long-term effects. Corey-Bloom also told Reuters that the study had limitations when it came to "blinding" participants to the treatments, since 17 of 30 patients were able to correctly guess whether they were using marijuana or a placebo. She said more long-term research is needed to determine long-term effects. 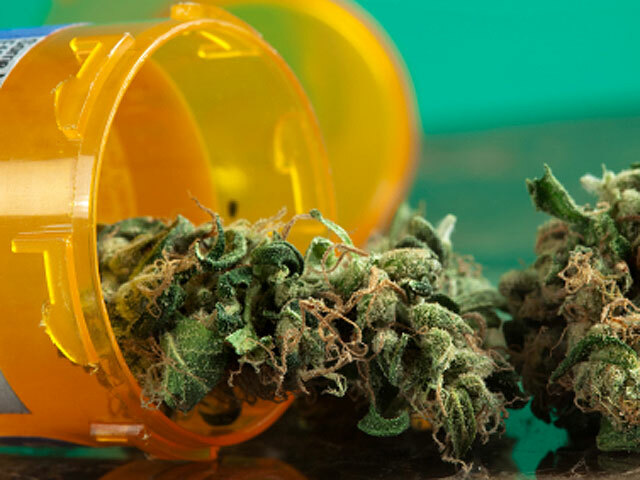 Medical marijuana is currently legal in 16 states and Washington D.C. Multiple sclerosis is an autoimmune disease that attacks the brain and spinal cord, causing painful attacks or symptoms that can last for days, weeks or months. WebMD has more on multiple sclerosis.